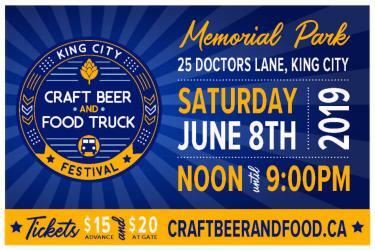 Kick off the summer festival season right at the King City Craft Beer & Food Truck Festival. This event has gained in popularity every year. 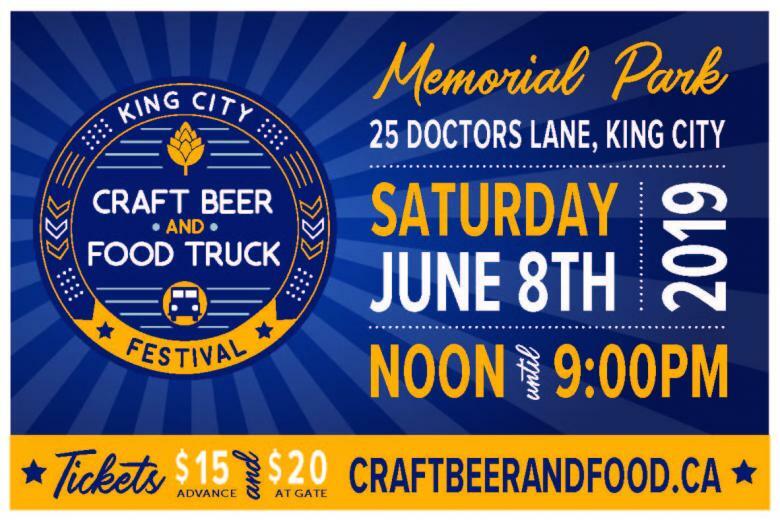 Enjoy some of the best craft breweries and food trucks from around the Province! The event also features two stages with nonstop musical performances. This is an all age’s event. For more information or to purchase advance tickets, please visit www.craftbeerandfood.ca.